Portuguese fuel-tanker drivers striking for better pay have agreed to provide a minimum amount of fuel to emergency services such as hospitals as well as airports, said the government on Wednesday. But the strike, which started on Monday, continues as a worsening fuel shortage spreads across the country. Portugal declared an energy crisis on Tuesday night after it was forced to order striking drivers to get back on the road immediately as airports turned to emergency services. Before the agreement, commercial fuel trucks had to ensure supplies to Lisbon airport and as of Wednesday morning, these chartered trucks continued to serve the airport, said TV channel SIC. "At both airports, where fuel supply wasn't ensured, we have reached critical levels of fuel reserves for aircraft refuelling," Economy Minister Pedro Siza Vieira told reporters on Tuesday. But the hardest hit are commuters who are having to queue for long periods of time to get fuel. The government said in a statement that representatives from the National Union of Dangerous Goods Drivers had agreed to provide minimum services late on Tuesday. 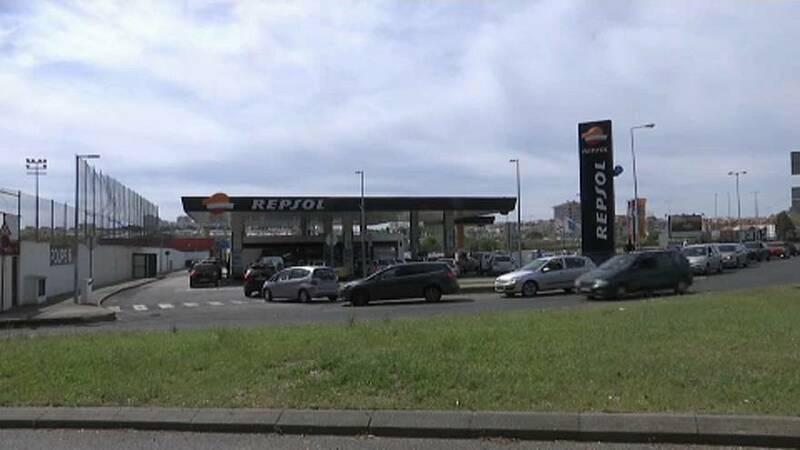 Under the government requirement, drivers must supply fuel to 40% of gas stations in Portugal's biggest cities — Lisbon and Porto. Lusa, the Portuguese news agency, said that the government had 15 soldiers at the ready to drive the trucks if needed. But despite the agreement, the National Union of Dangerous Goods Drivers said the strike would continue until its demands are met.